Some accidents that happen in the workplace can be prevented. Natural disasters, however, are unpredictable. Some happen with little or no warning, while others allow ample time to prepare if you have a good plan in place. Hurricanes are among the most damaging, and businesses of every size suffer loss every year during the May to November hurricane season. Solid business insurance and a good safety plan help to ensure that your business will recover from one of these mammoth storms. Hurricanes most often hit the United States in subtropical and tropical regions of the country, landing along the East Coast of Florida as far north as Virginia, and along the entire coastal area of the Gulf of Mexico. These powerful storms, which bring high, sustained winds and lots of rain, also bring water in with them from the ocean. This flood of water, which ebbs and flows with the tide, is called storm surge and is the cause of most of the damage seen following a hurricane. Businesses located in these coastal regions, and further inland as well, are prone to unique risks influenced by the weather of the area. 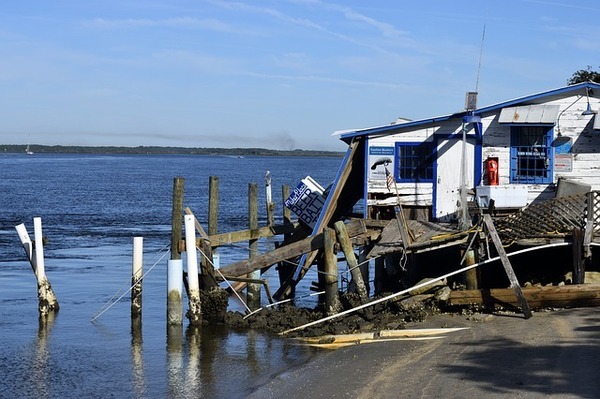 Wind damage, water damage from storm surge flooding and heavy rain, and damage from projectiles and other items propelled by the wind or the flooding are some of the most common types of damage to businesses. In extreme cases, your business may also be impacted by vandalism and looting following a major hurricane. The first and most important step to protecting your business from the effects of a hurricane is to be properly and fully insured. Often, the types of coverage most needed for hurricane damage are not included in a general business policy, so add-on coverage will likely be needed to specifically handle wind damage. 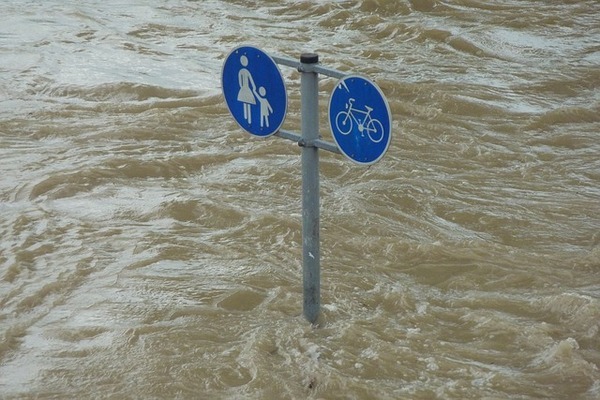 Flood insurance, for example, is a stand-alone type of policy and, like homeowner’s insurance, is not included in general business insurance policies. Evaluating your business’ risks in the event of a hurricane is necessary to prepare properly. You’ll need to be ready to secure your business long before the hurricane makes landfall, which may include boarding up windows, sealing any openings around doors and windows, and securing equipment. If supplies and equipment can be easily relocated, it is a good idea to do so. If not, a business interruption insurance add-on provides good protection, ensuring you can continue to operate even after heavy damage or loss. You also need to prepare your business much as homeowners secure their homes and properties. Make sure gutters and drains are free of debris, and that roofing is secured properly. Anchor any equipment or items that are outside, or move them indoors if possible. You will also want to ensure that computer data and files are backed up securely off-site and that any servers holding information are properly secured. Protecting your business this hurricane season begins with an understanding of your business’ risk. Hurricanes have a serious impact on the Southeastern United States. Armed with a knowledge of your region’s past and potential risk as well as a sound safety plan and comprehensive insurance coverage, your business can make it through the storm successfully. Poms & Associates provides brokerage services and insurance resources to assist you in shopping for your business’ insurance coverage. If you are interested in a new policy or want to expand your coverage through add-ons such as flood insurance, please visit our website or contact us. Gabriella Messina is an author who has written a variety of online content and has covered a range of business and insurance related topics, including employee benefits, property and casualty insurance, malpractice, drone insurance, and workplace safety issues, as well as other general business insurance topics.